Thinking about a new car? Then it's time to think about the loan, too. You get personal service when you choose a CEFCU Vehicle Loan. There is a difference, so ask for the CEFCU loan while you're at the dealer. Did you know having your loan preapproved has great benefits for you? Let's you know how much you can spend on a car. Gives you an idea what your payment will be. Shows the dealer you're serious about buying. Note: In addition to the information you provide for pre-approval, you will need to complete an application at the dealership. We offer the same great loan benefits — like affordable rates, fast approval, and no application and processing fees — for all your vehicle needs. 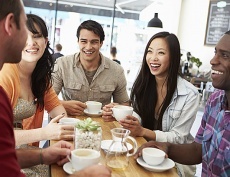 Compare CEFCU to other financial institutions. 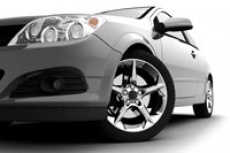 Find answers about buying a car. You have a lot on your plate, so choose the most convenient way to make your loan payments. Make payments anytime, anywhere with CEFCU On-Line® or CEFCU Mobile Banking. Rather not think about your payment? Ask your employer about payroll deduction — your payment can be taken directly from your paycheck. Just be sure to provide your account number in the proper format. Check out the Electronic Transfers page to learn more. 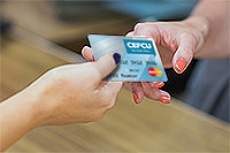 Use CEFCU On-Line or CEFCU Mobile Banking to set up automatic payment transfers directly from your account each month. Want to keep it traditional? Loan coupons are available so you can pay in person or by mail. *APR=Annual Percentage Rate. 100% loan-to-value or less is required for lowest advertised rate to well-qualified borrowers. Minimum loan amount of $10,000 required for 66-month term on 2018 and newer vehicles. Other rates, terms, and up to 100% financing available. In-house refinances are excluded. Fixed loan rate of 3.64% equals payments of $18.64 for 66 months per $1,000 borrowed for model years 2018 and newer with single loan and payment protection, or $16.75 for 66 months per $1,000 borrowed without the protection. **Up to 90% loan-to-value on 2017 and newer models and $50,000 minimum loan amount required for lowest advertised rate to qualified borrowers. Other rates, terms, and up to 100% financing available. Fixed loan rate of up to 5.24% APR equals payments of $8.04 for each $1,000 borrowed over an 180-month term. ***Up to 90% loan-to-value on 2017 and newer models and $15,000 minimum loan amount required for lowest advertised rate to qualified borrowers. Other rates, terms, and up to 100% financing available. Fixed loan rate of 6.99% equals payments of $21.69 for 60 months for each $1,000 borrowed with single loan and payment protection, or $19.80 for 60 months per $1,000 borrowed without the protection.